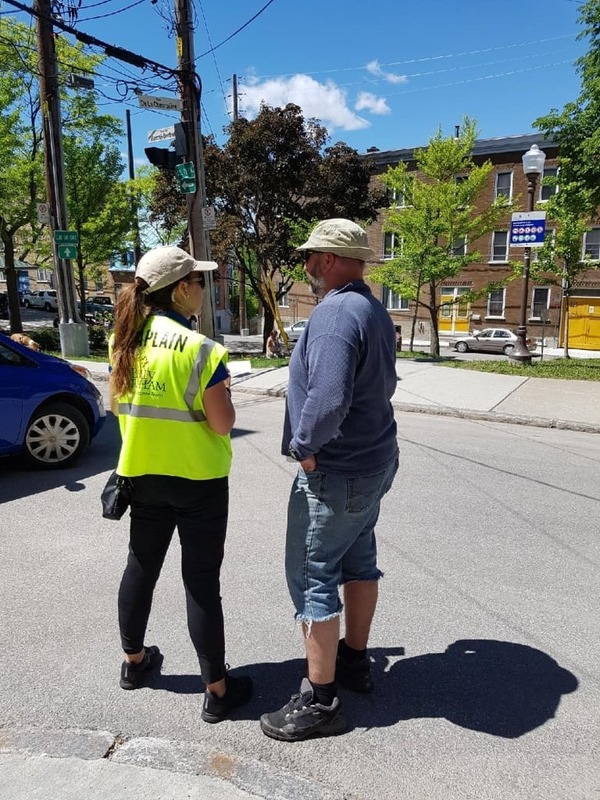 Eleven Billy Graham Rapid Response Team chaplains were deployed to Québec City from June 6 to 9, praying for the city and providing spiritual and emotional care to anyone who needed it. Why Québec? Because it hosted a G7 summit—a gathering of leaders from seven of the world’s most politically and economically powerful countries to discuss a variety of global issues. G7 summits generate conversation around the world—and attract protesters. 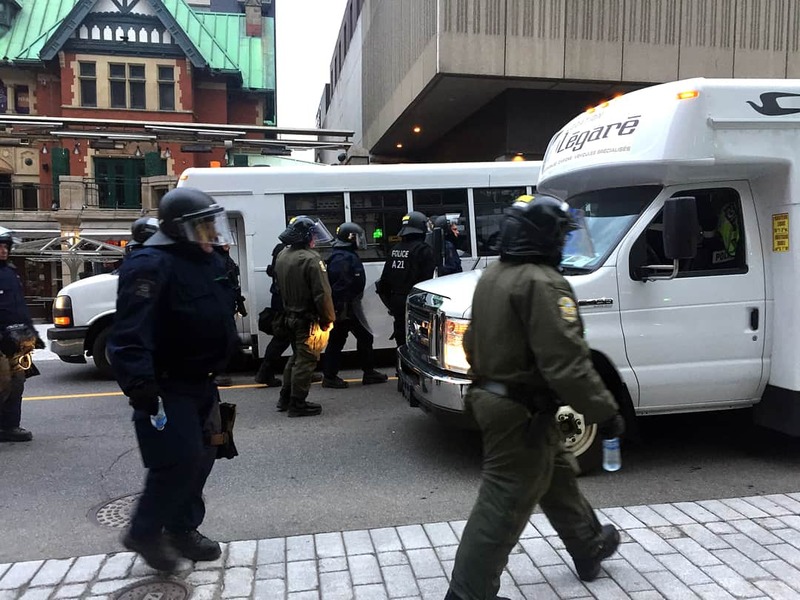 There were demonstrations in Québec City, where protesters tried to block the route to La Malbaie, a small community east of the city where the summit was held. 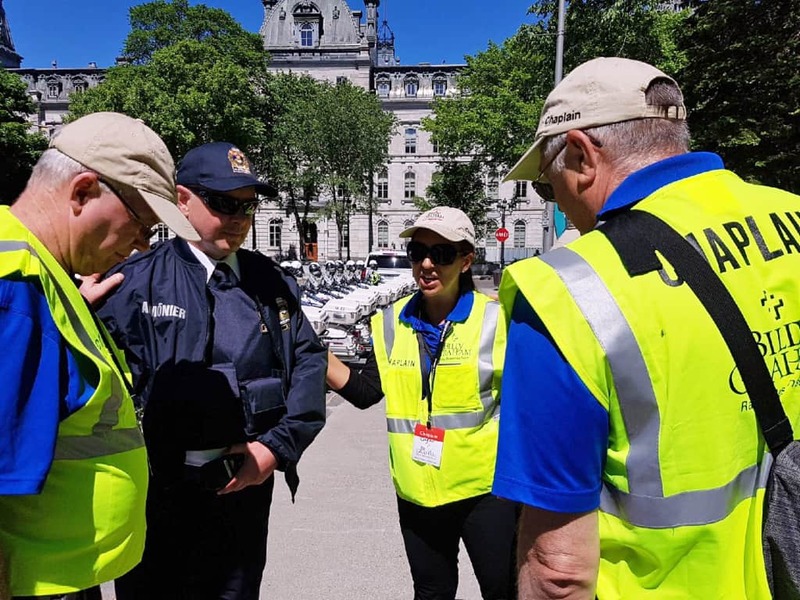 “We were there to pray for peace over the streets, in Jesus’ Name,” said Merle Doherty, BGEAC’s Rapid Response Team manager who led the Quebec team. 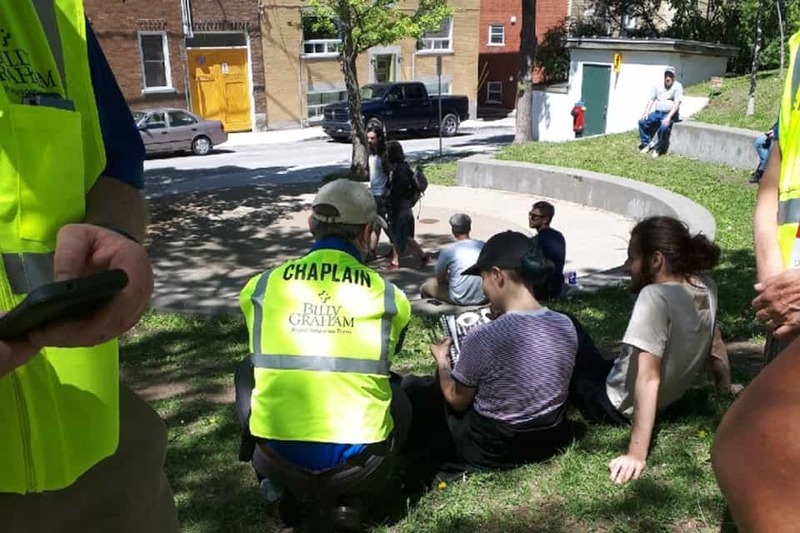 During the deployment, the chaplains attended many demonstrations and walked the streets of the city’s downtown core, where most of the demonstrators were based. Although the demonstrations were mostly peaceful, tensions were high. 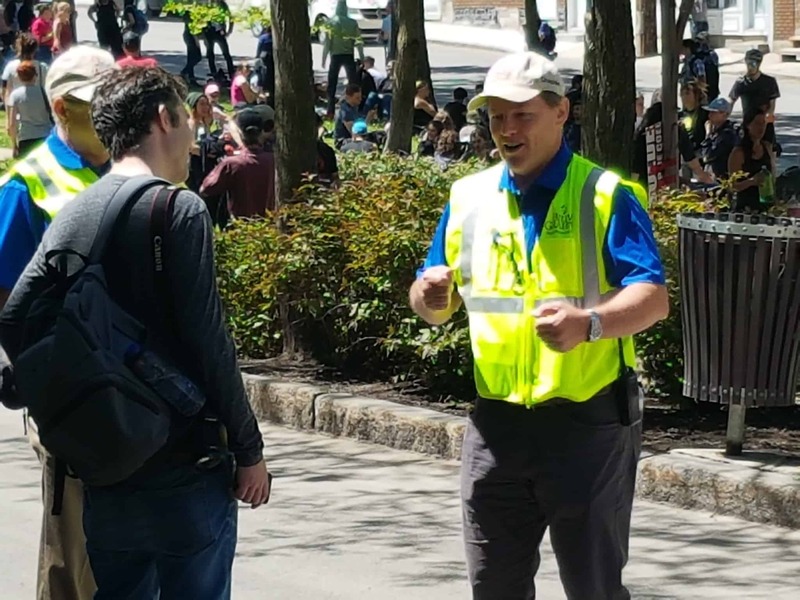 “Many, many police officers thanked us for our presence wherever we walked,” Doherty said. God opened doors for the chaplains to pray with 38 people. Those prayers led to one man dedicating his life to Jesus Christ, who “loved us and gave himself up for us, a fragrant offering and sacrifice to God” (Ephesians 5:2, ESV). Thank you for praying for our chaplains as they offered a ministry of peace, presence, and prayer. 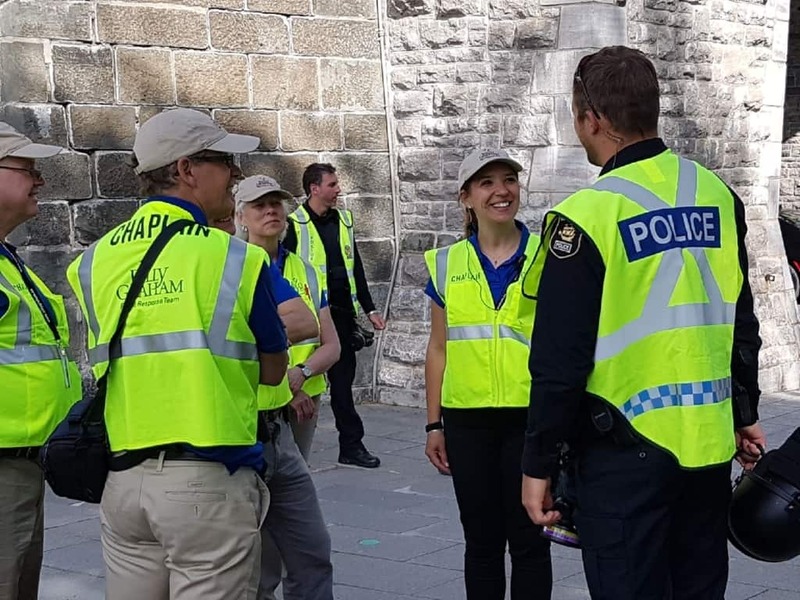 Your gift will provide for the training and deployment of our Rapid Response Team chaplains, who are deployed when natural or man made disasters strike in Canada and abroad. RRT chaplains serve and support hurting people affected by crisis, and share the message of hope found in Jesus.